Soweto, Pretoria, Kruger National Park, Lesedi, Maropeng, Sun City, Johannesburg, Pilanesberg, Soccer City, the Battle Fields, Namakwaland, Cape Town, Namaqualand, Victoria Falls, the Cape..
..name it, we take you there.. 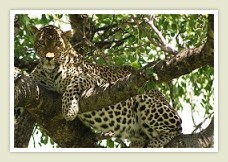 Your Travel into Africa for South African Safaris is not complete if it isn't an adventure with Touring South Africa. We specialise in personalized and regular tours, tailor-made tours, and adventure tours. If it's your wish, it is our command. Experience the true Spirit of Africa and find yourself in a world of fun and exploration. 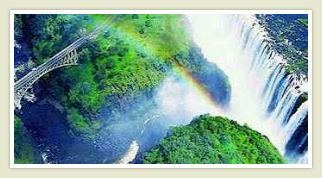 Victoria Falls 3 day tour : Stay at and Tour the famous Victoria Falls and see the 'Smoke that Thunders". Extend your stay at minimal cost. 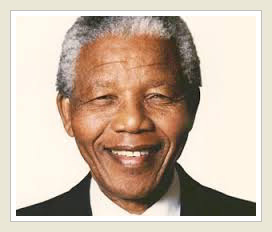 MANDELA Remembrance tour (full day): Visit Mandela Family Museum in Soweto, in Johannesburg visit Apartheid Museum, drive by his Houghton house, visit Liliesleaf farm. Light lunch included. 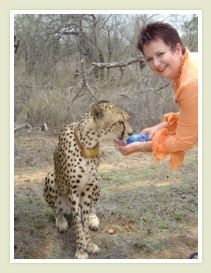 Hartbeespoort tours: Spend the morning and afternoon with the elephants or monkeys (or cheetahs) on an exploratory tour close-up with the animals, in the vacation hub of Gauteng and Northwest Provinces. This is a unique experience, always enjoyed. After lunch, take the new cable car up the Magalies Mountain, and enjoy a fresh air view over the lake and agricultural carpet landscape. Touring South Africa is a tour operator based in Pretoria / Tshwane, Gauteng Province. 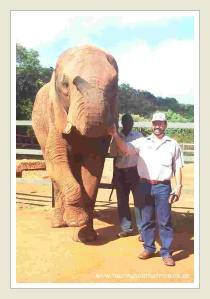 The tours combine home comfort with combinations of exciting Big Five experiences, History, Culture and Nature. The South African landscape was formed in a unique way by Mother Nature. As one of the first areas to cool down on planet Earth, the rain, sun, wind, and meteorites have, over billions of years, all helped to form a geological wonder world, with high habited mountains, fertile valleys, forested riverines, extensive grasslands, dry deserts, and lush coasts, all inhabited with diverse species of animals and plants of incredible beauty. South African nature reserves conserve a vast heritage of diverse bio-systems, interesting rock formations and historical battlefields, some magnificent lagoons, and ancient Rock art by the San or Bushman people, who were the earliest inhabitants of this region for the last 20000 years, all to be explored and marvelled at. Some of these areas have been added to the ever-growing number of World Heritage sites of Africa. 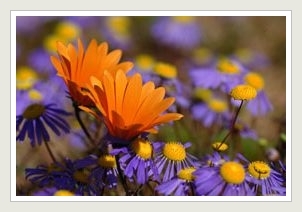 Some of the world's most diverse plant populations and biggest wildlife sanctuaries and game parks, are in South Africa. Table Mountain is one of the New Seven Wonders of the World, and forms part of the Cape Floral Kingdom, and incorporated in the Cape Floral Region, one of the 8 World Heritage sites in South Africa (ca 2012), famous for its diverse plant life, with more species than the British Isles. This World Heritage site is among the richest in plant life worldwide, comprising less than 0.5% of the area of Africa, but containing nearly 20% of Africa's total flora. Its scientific value is demonstrated by the presence of fire and radiation adaptivity in plants, and seed dispersal by insects. 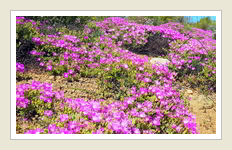 It is one of the world's 18 biodiversity hot spots, the smallest (90000 km2) and richest of the world's six floral regions, comprising 8 areas in a series, around the south-western tip of Africa: Table mountain, Cederberg Wilderness area, Groot Winterhoek wildernees area, Boland Mountain complex, De Hoop Nature reserve, Bosmansbos Nature reserve, Swartberg complex, all in the Western Cape province, plus Baviaanskloof, in the Eastern Cape. We thrive on the southern tip of Africa, with a long coastline bordering two oceans, with warm and cold seas, gradually leading up to mountains, with a high plateau stretching over several different eco systems, containing vast numbers of different species of plants, game, wildlife, insects and reptiles. Diamonds, gold, platinum, chromium, vanadium, iron ore, copper, nickel and coal are some of the mineral riches of our world. Apart from Game reserves and game parks, the South African culture and history is so diverse, it will keep you interested and entertained for your whole stay in South Africa. With 11 official languages, and sign language as the 12th, the diverse cultures are not even fully represented in these languages. 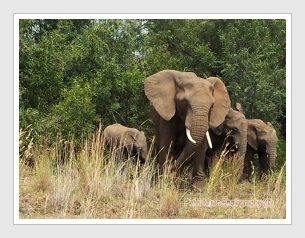 Kruger National Park in Mpumalanga province is for South Africa its most famous and best administrated Game reserve and National Park, with a long history of preservation and research of the many different species abounding. South Africa's oldest Game reserve is the Hluhluwe-Umfolozi Park in KwaZulu-Natal, which is famous for the preservation and breeding of the White Rhinoceros, and Black Rhino. In your quest to have the experience of a lifetime, look no further than a South African Safari in one of the many Game reserves and Game parks of South Africa. Pilanesberg National Park is close enough to the cities of Johannesburg and Pretoria, to visit in one day, and if you like to explore for a longer period, Kruger National Park, with the breathtaking Panorama Route nearby, or Madikwe Game reserve, or the Waterberg Game parks, are all only a few hours away. Overnight and safari in any of a variety of Private Game Reserves, where the unique interaction with wildlife is a heightened experience with the accompaniment of a private Ranger. If you have a short time left to take those last photographs, at close range, of some of the most famous of the game animals in their natural habitat, then the Lion Park, or the Rhino and Lion Park, both near Johannesburg, is the outing for you. The transfer to the Airport is less than an hour-and-a half away. Many private Game reserves are available to choose from, in which to take your safari on a personal level, with interaction and firsthand knowledge and information from your Ranger. The game reserves in South Africa play a major role in the preservation of the game and other species in their particular areas within the different ecosystems in South Africa, contributing to the eco awareness in their communities, from where they draw their resources for employment and skills. In rural Africa, a great deal of training and education is ploughed back into these surrounding communities, with upliftment projects and infrastructure development. Nature, culture, and history are preserved and to be found in most of the parks with National status, with accommodation that ranges from Luxury suites and Private camps, to self-catering and tented accommodation. Conference facilities in a setting close to nature, are combined with nearby adventure trails, outdoor sports facilities, cultural experiences, and community projects. Most often, agriculture abound outside the National Parks, and planning your holiday to visit these attractions, is easily done by Touring South Africa. The most famous of the National parks, is Kruger National Park in the warm Lowveld region of north-east South Africa, the nearly 2 million hectares (20 000 km2) natural heritage reserve of wildlife, birdlife and history, which provide that ultimate wildlife experience, that endless anticipation of seeing wildlife in their true natural habitat, as you would expect of the best of Africa. Shared between the provinces of Limpopo in the north and Mpumalanga in the south, along the border with Mozambique, Kruger Park now forms part of the Great Limpopo Transfrontier Park, a peace Park that stretches over international borders, linking up with Game parks in Mozambique and Zimbabwe. All wildlife can now roam freely between these Parks, as they have done before fences kept them in. On completion of the Greater Transfrontier Park, the area will comprise 35 000 km2, with areas of 58% in South Africa, 24% in Mozambique, and 18% in Zimbabwe. Take a guided tour with Touring South Africa in an area with a well developed infrastructure, with Rest camps, Waterholes, Hides, Picnic sites and good roads. Pilanesberg National Park is close to the Gauteng cities of Pretoria and Johannesburg, for either a day safari or longer overnight stay in this Big five park, and an optional visit to the Sun City resort. Experience close encounters and excellent viewing opportunities of the wild animals in their natural habitat in Pilanesberg and Kruger National Park. Explore the cities of Pretoria and Johannesburg. See the Cradle of Humankind at Sterkfontein Caves and Maropeng, and Culture at Lesedi. These are only a few of many sites and sounds to be enjoyed. All tours are conducted by our specially trained and registered South African Tour guides. Physically handicapped persons are also welcome to experience South Africa with Touring South Africa. Riana, from Touring South Africa, has become part of the lives of our returning guests. With each visit, they experience more, and enjoy more than ever before. Savannah the cheetah was found abandoned in the bush. She was hand-raised by the owner's son and his family, from a small cub. Early on she showed signs that her instinct was very strong. Her first kill was a fully grown kudu within metres of the lodge. She grew into a fully matured cat, independent of her human family, but always keen on some personal attention. Often she would 'catch a lift' with a game drive and later relax on a lounger at the pool. Savannah's cubs now have the best of both worlds at their home in our favourite, recommended Private Game Reserve. Let us take you for a walk with the cheetahs, or with the lions.. Experience the touring background, expertise, knowledge and personal attention you are looking for. Combine any Half-day tour with another, or add on to a longer tour, either at the beginning or end. We can also easily compile a special tailor-made tour for your specific interests and needs. -- we already take bookings for the next season.